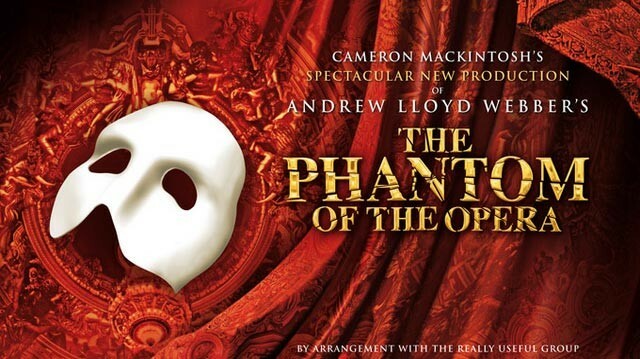 Andrew Lloyd Webber’s international smash musical hit, The Phantom of the Opera, is coming to MSU’s Wharton Center stage this April, 2015. Based on the classic novel by Gaston Leroux, The Phantom of the Opera is the story of a beautiful soprano who becomes the object of desire and obsession for a mysterious, masked musical genius. This 1910 tale has been adapted to film and stage many times but none so successfully as Andrew Lloyd Webber’s version, which is one of three longest running musicals of all time, along with Les Misérables and Cats. This new production from veteran musical producer Cameron Mackintosh has been hailed by critics as “bigger and better than ever before” and has just come off a sold out tour of the United Kingdom. MSU’s Wharton Center stage will come to life with this production’s exciting special effects, new scenic and lighting designs, new staging and choreography, and a cast and orchestra of 52 – one of the largest productions presently on tour. Since opening its doors in 1982, Michigan State University’s Wharton Center for Performing Arts has made a reputation for itself by presenting deeply successful, quality programs. Michigan’s largest performing arts venue, Wharton Center features four unique stages – the Cobb Great Hall, Pasant Theatre, MSU Concert Auditorium and Fairchild Theatre – each busy with productions of all kinds, all season long. Tickets can be purchased online at www.whartoncenter.com. What better way to enjoy a Wharton Center performance than by book-ending it with the exceptional dining and lodging available at The English Inn, Restaurant and Pub? Wharton Center on the MSU campus is less than half an hour’s drive from The English Inn, Restaurant and Pub, making us the perfect fit for any of your Lansing adventures – see you soon!